When you’re job searching, it’s important to be prepared for a phone interview at very short notice. Many businesses and recruiters start the process with a phone call to discuss the job opportunity and determine whether you would be a good fit, and to gauge your interest in the position. Quite often, a phone call may come out of the blue and so it is imperative to answer the phone professionally, especially if the number is an unfamiliar one. If you are unable to have a detailed conversation at that time, politely take the details of the caller and arrange a suitable time to pick the conversation back up. Most importantly, always call back or answer your phone at said time! If someone has had to leave you voicemail, it’s always best to return the call within one business day ideally. We can’t emphasise this one enough. 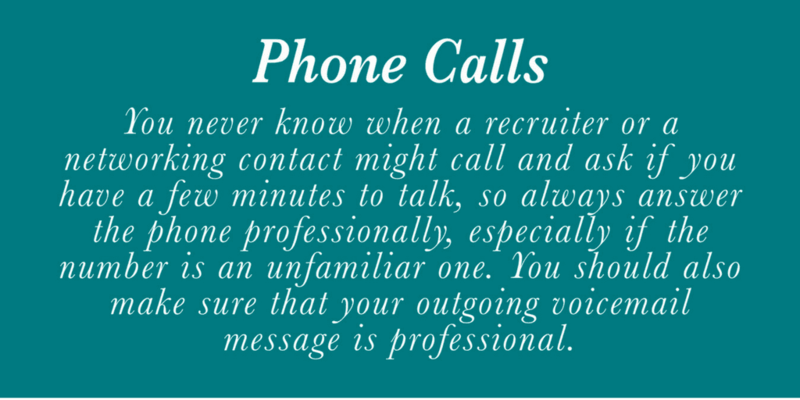 It can become very frustrating if an employer or recruiter is trying to speak with you and it takes you a week to return a call, it doesn’t give the best first impression. Again, if you are unavailable for a certain period of time, call back and explain your situation (or email) and tee up a convenient time to speak in more detail. Finally, make sure your voicemail message is friendly and professional. If you have an unprofessional voicemail, the caller may well decide to not reach out further to you. For more help and advice with your job search, please contact the HOORAY team on 01242 300228. To keep up to date with all our job vacancies, news and advice, be sure to give us a follow/like on social media.